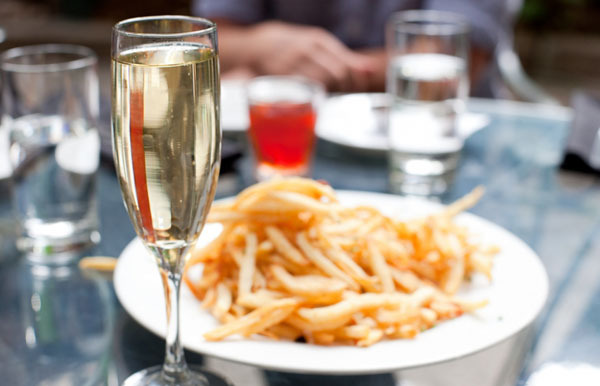 The third edition of the Wines of Southwest France Gourmet French Fries Competition took place on Tuesday June 6th. Guests were delighted with a sophisticated and warm welcoming as they walked through the elegant white building, which was saturated in natural light from the large windows surrounding the room. More than 40-highly rated wines from Southwest France were poured at numerous stations divided by category. Southwest France is known for its unique wines: over 300 grapes varieties are referenced in the region, 120 of which are indigenous. The Southwest’s large palette of aromatic wines, ranging from dry whites, fruity and full-bodied reds, to floral rosés and generous sweet wines, offers endless pairing possibilities. 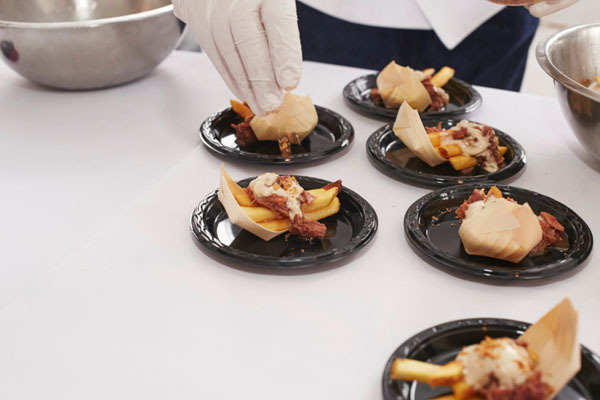 A chef showdown starring five up-and-coming American Chefs, battled it out and unveiled unique twists on the humble fried potato, like heirloom potato and vegetable fries, with the crucial prosciutto aioli dip and homemade salsa rubbra. The hand-cut French fries tossed in chilli-olive oil and topped with duck confit, sunflower shoots and sour-cherry chutney were a crowd pleaser, and definitely not to be missed. After the sweet introductions and friendly chitchat, came the time decide winners. 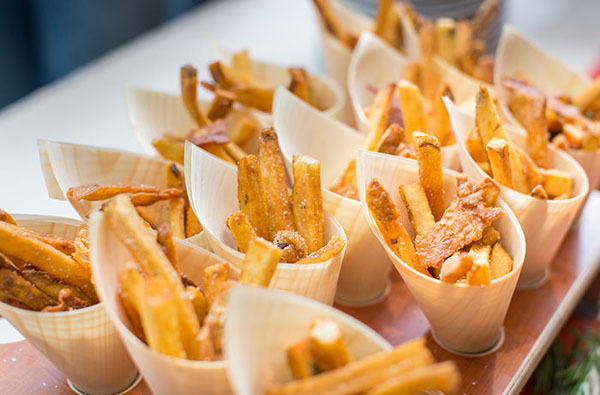 Three judges including wine enthusiasts own contributing European editor Roger Voss, collaborated to vote on the best French fry and wine pairing at the event. Attendees including importers, distributors, restaurateurs and a myriad of other guests also voted for their favorite creations. The People’s Choice Award for best wine and fry pairing went to the Chateau Peyros, Vielles Vignes and Chef Matt O’Neill from David Burke Kitchen. The generous flavors of the dish, perfectly matched the structure of the Madiran wine, produced at the Vignobles Lesgourgues. Chef Matt O’Neill’s fry game was on point that day as he was awarded Judge’s Choice Award, along with the Chateau Bouscassé from the Vignobles Brumont, another elegant characterful Madiran red wine.